In our Endeavour to ensure a better future, we at ROBOTEC LLP adopt eco-friendly innovations and practices. We are acting responsibly to protect the environment our “Sustain the Future- Go green” program is an initiative towards leading a more sensible life, and taking an aware step towards conservation and optimization of resources. So, when an Electrical & Electronics item reaches its end-of-life, we take it back, reuse it or dismantle/recycle it. ROBOTEC LLP has been working in the area of safe disposal of E-waste. Since electronics items contains toxic and Hazardous Waste and Compressed Air Condensate. Safe disposal of E-waste reduces the environment pollution. The correct disposal of old product will help prevent potential negative consequences for the environment and human health. Ministry of Environment and Forests (MoEF) has formulated and notified its strategy to tackle the E-waste through the E-waste (Management) Rule 2016.Company policy of ROBOTEC LLP supports recycling and remains committed to comply with India’s E-waste (Management) Rules 2016.Further as per the guideline issued by Central Pollution Control Board. ROBOTEC LLP has partnered with Pro Connect, India’s leading Producer responsibility Organisation to comply with E-Waste Management and Handling Rules in providing environmentally sound management of end of life electronics product.Pro Connect is associated directly with various leading E-Waste recycling companies in India that do ensure proper recycling and disposal of E-Waste. Pro Connect will provide E-Waste drop off collection centers and ensure environmentally sound management of electronics that have reached their end of life phase. Our Consumers could be contribute to resource conservation and prevent potential environmental problems by properly depositing of their old consumer durable products and its accessories at designated collection facilities identified by ROBOTEC LLP . Improper handling or disposal of Electronic Waste causes great damage to Environment. For that customer has to register a request on our recycling Partner Pro Connect’s Toll Free Number – 1800-843-4443 or visit website:www.pro-connectindia.in or mail them on proconnect7@gmail.com Or may Call ROBOTEC LLP Call centre : 1800 2744 2020. We are providing facility to all of our customers which will be run through our PRO (Pro Connect).Our PRO is having agreement with DTDC Express LTD for Reverse Logistic to transport our customer's e- waste for proper disposal or recycling to ensure environmentally sound management of electronics that have reached their end of life phase. Our Consumer / Customer can also drop the consignment at their nearest DTDC Service Point or request for pick up from their premises. Then the E-waste collected through this channel will send to nearest authorized Dismantler/ Recycler. DTDC is providing approx. 11000 collection points which cover almost all major cities, town and rural area of every state in India. Customer can also visit DTDC Website http://www.dtdc.in/location- finder.asp and search nearest collection point of DTDC. You may contact Pro Connect Toll Free Number -1800-843-4443 for putting request for recycling of ROBOTEC LLP . Depending on your product type and condition ProConnect representative will evaluate the residual value of your electronic product and inform the same to you. On your acceptance of offer, ProConnect representative will let you know various options depending on your location for drop off the Product at nearest collection point,courier(Free of charge) the product to Pro Connect collection centre/collection pointor arranging the pickup from your Home / Premises. Customer will be paid according to the mode of payment accepted by customer at the time of making request. Your old ROBOTEC LLP Product will be recycled as per E-Waste disposal guidelines. Always look for information on the catalogue with your product for end-of- life equipment handling. When your products reaches to its end of life should be disposed properly for recycling to protect our environment. All electrical and electronic products after its end of life are required to be handed over only to the Authorised Collection centre /points/ dismantler/recycler as per information provided on our web side or customer care / toll free numbers. Keep the product in isolated area, after it becomes non-functional/un- repairable so as to prevent its accidental breakage. Always drop your used electronic products, batteries or any accessories when they reach the end of their life at your nearest Authorized E-waste Collection Centers/points. The product should not be opened by the User himself/herself, but only by authorised service personnel. The product is not meant for re-sale any unauthorised agencies/scrap dealer/kabariwala. Do not keep any replaced spare part(s) from the product in exposed area. Do not store un-used Electrical and Electronic Equipment in your premises for longer duration. Do not throw electronics products in normal household waste stream. 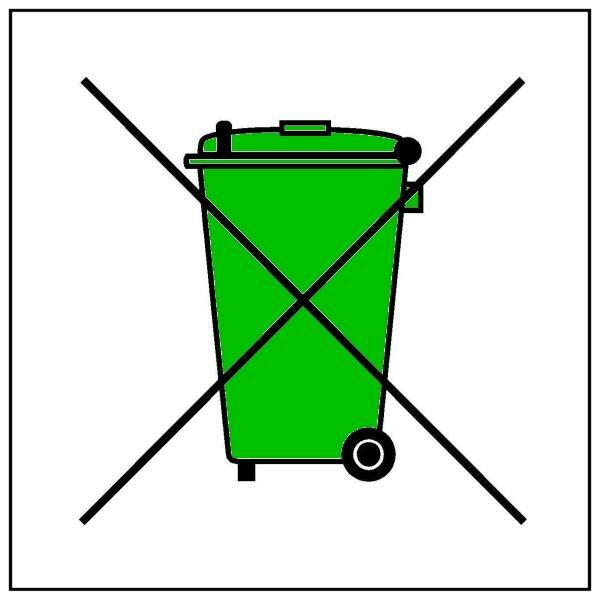 'Do not Dispose' having sign as mentioned below.